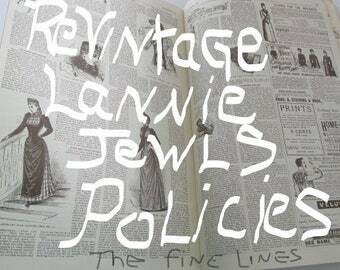 Announcement *•-:¦:-•:*''*:•-:¦:-*ReVintageLannieJewls*•-:¦:-•:*''*:•-:¦:-* WELCOMES YOU TO THE FAMILY JEWLS !!!!! 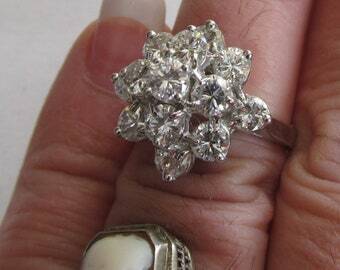 Vintage Jewelry Shop.... RVLETSY I Have 3 Etsy Shops Full of Antiques and Vintage Treasures ! Vintage Jewelry From 5 Generations Victorian Jewelry, Edwardian Jewelry, Art Deco Jewelry, Mid Century Jewelry, Bohemian Jewelry, Retro Minimalist Jewelry, Southwestern Sterling Silver Navaho Jewelry. The Pictures and Description should All be Read, Viewed and Question Asked, PRIOR to Your Purchase. Look For MY ETSY SHOP BUTTON !! We believe in cherishing things from the past... The love of vintage items...The search for the score of the day...sharing the pickers dream.... the collecting... We will be offering to you a wide variety of VINTAGE , VICTORIAN , PRIMITIVES , ESTATE FINDS, PERSONAL COLLECTIONS of RARE FINDS , VINTAGE JEWELRY , PAPER MEMORABILIA , many more NEEDFUL THINGS. My name is Lannie Fellows-Simino, store owner. I am very EXCITED AND LOOKING FORWARD TO ASSISTING YOU IN THE GREEN ROAD of...RePurposing ReCycling ReSelling and ReVintaging BEAUTIFUL ITEMS. 20% OFF For Returning Customer Purchases !!!!! I am finally follow my passion for antiques full time. Many of my Items are Amazing Historical Pieces Suitable for Period Movies, Photo Props, Avid Collector Or Just Because You Need it Like I Needed It !!. Need Something Specific? I Specialize in Locating Amazing Objects for People Around the World, Just Send Me a Conv. I may Just Have it! Z	69	13	21.9 Hope This is Helpful For You !!! *•-:¦:-•:*''*:•-:¦:-*ReVintageLannieJewls*•-:¦:-•:*''*:•-:¦:-* WELCOMES YOU TO THE FAMILY JEWLS !!!!! 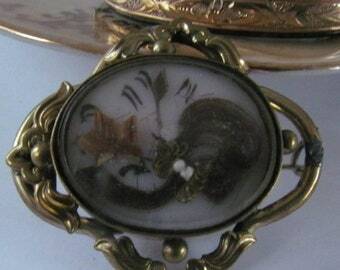 Vintage Jewelry Shop.... RVLETSY I Have 3 Etsy Shops Full of Antiques and Vintage Treasures ! 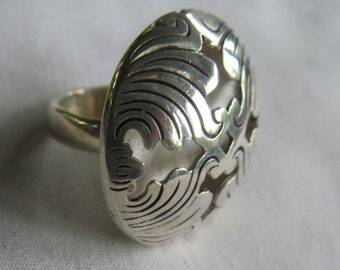 Vintage Jewelry From 5 Generations Victorian Jewelry, Edwardian Jewelry, Art Deco Jewelry, Mid Century Jewelry, Bohemian Jewelry, Retro Minimalist Jewelry, Southwestern Sterling Silver Navaho Jewelry. Sweet little ring, love it. Fast shipping. Perfect ring for stacking! WELCOMES YOU TO THE FAMILY JEWLS !!!! Thank you for visiting our store....My name is Lannie Fellows-Simino, store owner.and I have been Junk'n my whole entire life!!!! I have lived in beautiful New Hampshire for 1/2 a century now and have tons of stuff to prove it. I have traveled Vermont, Maine, and Massachusetts picking Yard sales, Estate Sales, Flea Markets, and bidding at Auctions to obtain my ReVintaging items. I ran my own Cosmetology Salon and Retail shop for 13 yrs., until I became disabled to do Hair full time. Now is the time for me to ReSell and ReCycle my items, so you may RePurpose them. I solely work alone with some help from one of my daughters. I will be adding new items weekly soooo please Favorite and Follow My Shop.... it will amaze you with the variety of Items that I will be listing from the New England area. I am Finally Follow My Passion for Antiques full time. Many of my Items are Truly Amazing Historical Pieces Suitable for Period Movies, Photo Props, Avid Collector Or Just Because You Need it--- Like I Needed It !!. Need Something Specific? I Specialize in Locating Amazing Objects for People Around the World, Just Send Me a Conv. right here through Etsy Conversations, I May Just Have it Not Listed Yet, or maybe I can find You What You are Looking for !!! We will be offering to you a wide variety of VINTAGE , VICTORIAN , PRIMITIVES , ESTATE FINDS, PERSONAL COLLECTIONS, RARE FINDS, JEWELRY, PAPER MEMORABILIA, ANTIQUITY 1st EDITION BOOKS and many more NEEDFUL THINGS. 1. PROCESS Place Item of Interest in Your Cart and Go to Checkout for Purchase. If you have a Coupon Code or Gift Card, This is where you will use it. Etsy will Smoothly take you through your Buying Purchase. 2. DIRECT CHECKOUT Major Credit Cards are Accepted. This Shop Accepts All Forms of Payment which Etsy Enables. Credit Cards and International Payments. A PayPal account is not required, PayPal /Etsy integrate for your smooth checkout. 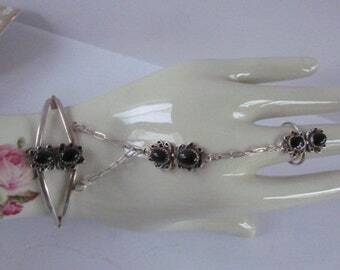 Link to PayPal register free https://www.paypal.com/ This Shop Accepts All Forms of Payment which Etsy Enables. Credit Cards and International Payments. 4. GIFT CERTIFICATES are always a Splendid Gift, Offered from ReVintageLannie in several denominations and may be used in Each of ReVintageLannies Shops here on Etsy..
8. PAYMENT TRANSACTION OF SALE, Happens when You CLICK PURCHASE at checkout. 3. You Purchase It Is Yours. 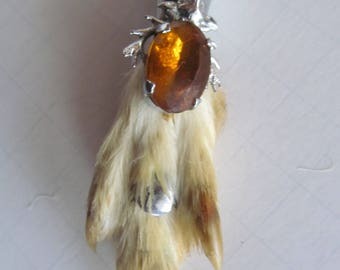 I do Not Refund if You changed Your Please Mind> PER ETSY RULES AND THIS SHOPS RULES The Pictures and Description should All be Read, Viewed and Question Asked, Prior to Your Purchase.Your Purchase is in Progress shortly after The Transaction is accepted. Please do not purchase if you are not intending to buy. I DO NOT Accept Cancellations. 10. I DO NOT ACCEPT CANCELLATIONS, Shop owners have Policies put in place for reasons. If A Cancelation is requested after Transaction of Purchase has gone through There is a Restocking Fee. To Avoid This Please ask All Questions Prior to Purchase. We will only follow your address listed at the PayPal or Etsy Checkout for the shipment. Due to the secure reasons, we are not allowed the address change through email. We have no responsibility for shipping address provided otherwise. **ALL POLICIES ARE SUBJECT TO CHANGE. ALL ITEMS ARE SOLD AS IS WITH NO RETURN. Therefore , all items are sold AS IS. If you have any questions about a product, please contact me before purchasing. This is a Vintage Shop, Please assume all Items are Used And/Or have been stored for many Years. These items are Coming From New England farmhouses w/ Wood Stove Heat. I'm always glad to help you. If you do not choose to add insurance we are not responsible for loss, damage, etc. ...... I will work with you on shipping multiple orders, please contact me regarding this.......I will always remain in contact with you throughout the entire transaction "until the item arrives safely at your door"
Again Thank You for ReVintaging with LANNIE !!!! Shipping Prices are Estimated Quotes, and May need to be Adjusted After Purchase Sale, due to other factors such as weight, size of Box,destinations or additional Insurance for a Safe and Quality arrival. If this is a case, I will Convo You for an accurate Balance due. 2. SHIPPING RATES -- PLEASE CONVO ME For a new Rate Quote.... As for My Previous Listings Shipping Prices MAY NOT BE UPDATED and other factors weighed in.... Postage quoted is an ESTIMATE until it is packed AFTER the Purchase Sale, when the actual cost can be given, if you need to Pay a bit more for Postage, I will be in touch for remaining balance Before Item is Shipped. Please be aware there may be a Convo sent for the additional amount ! 3. SHIPMENT PREPERATION Item will be shipped within 3 working days (not include holidays) after payment confirmation. Shipping confirmation email will be sent when item is shipped. 4. USPS is ReVintageLannieJewls designated shipper. By providing personal information through Etsy, All customers agree to share that information with the designated shipper for the purpose of transporting packages. 5. COMBINE SHIPPING Shipping Multiple Orders/ Items, please contact me regarding this. YES I am Very Happy To Send you Several item You have found in MY ETSY SHOPS !! 6. FREE SHIPPING In Reality Shipping is Not Free. There is a cost to the USPS Postal Service to ship Every Single Item from an Envelope to a Couch!! USPS prices do Change at Least Yearly. Tape, certain boxes, labels and Ink. Bubble Wrap, Is Not Free. I want to make sure Your Items arrive Safely. 7. S/H FEES Seller may charge a small Handling fee to help with Cost of Shipping Material and/or International Paperwork and/or extra time in processing and Preparing your order..
9. INSURANCE ….. My shipping charges Do NOT include Insurance and/or Delivery Confirmation ( Priority Mail includes up to $100.00, if your Purchase is to be covered over this amount I Recommend purchasing additional insurance see below) Extra insurance or confirmation please convo me before you make your purchase and I will set up a special listing for you with your postage. I do suggest putting on Insurance on the items you purchase to guarantee safe shipment. This will help assist for any postal loss and damage. We are Not Responsible for any Uninsured items lost/broken during mail shipment Once it Leaves Our Local Postal, If you did not take the recommended link in each items description. 13. MULTIPLE PACKAGES Orders may come in multiple packages because of the unique size and design of some products. Additional Shipping Funds may be required. I will be InTouch Through Conversations Here on Etsy if this is a needed. 14. REFUNDS Partial shipping refund when applicable. If My Quote is Much Higher than exact shipping quote including materials and handling fees. 15. AFTER YOUR PURCHASE I'm always glad to help you. I will always remain in contact with you throughout the entire transaction "until the item arrives safely at your door" Should it not, we will help assist you to a link to file a claim. I certainly can file if you would like me too. If I file the Claim I don't pay out until the reimbursement comes in. That is why I suggest you to file for a faster return. International, I will file for You. ***ALL POLICIES ARE SUBJECT TO CHANGE. In the event that an item has been listed by error with an incorrect price, I reserve the right to correct the price when necessary. Same right will go for a misused coupon code in my shop, I reserve the right to correct the price when necessary. But please contact me if you have any problems with your order. 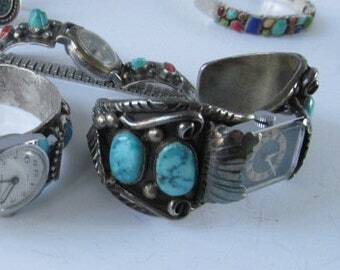 Vintage and Antique Jewelry is Worn and Used. Please See All Pics and Description and Ask For More Info Or Pics if Needed Please !! PER ETSY RULES AND THIS SHOPS RULES. The Pictures and Description should All be Read, Viewed and Question Asked, Prior to Your Purchase !! I am Here To Answer and Take More Pictures if Need Be !! If you have any questions about a product, please contact me before purchasing. I'm always glad to help you. I will always remain in contact with you throughout the entire transaction "until the item arrives at your door"
Follow up on feedback Dear valued customers, We hope you like the item and look forward to you shopping with us again in near future. If you are satisfied with the purchase and our total service, your comment is very important in our business success. Please take a minute to leave us a positive feedback . If you plan to give us a neutral/negative feedback, please write to us immediately so that we can do our best to resolve your problem. ReVintage Lannie, collects customer information through Etsy to process orders and retains customer records to comply with professional guidelines and government regulations. Physical, electronic, and procedural safeguards are maintained to guard customer information. 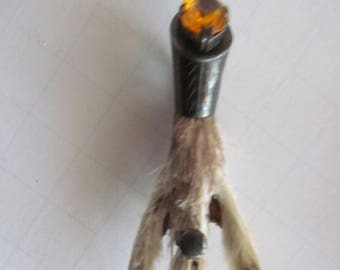 ReVintageLannieJewls, collects customer information through Etsy to process orders and retains customer records to comply with professional guidelines and government regulations. Physical, electronic, and procedural safeguards are maintained to guard customer information. I share information between My 3 Etsy Shops to Provide you with Possible Items You have Purchased from me That I feel you may be of interested in if asked. This Shop Does Not disclose the details of any personal information you share with third-party at this time. This Shop Does Not use a third-party shipping provider to help fulfill orders. GDPR requires you to disclose if you transfer personal information outside of the EU and the legal bases you rely on to do so, such as consent and contractual necessity. For purposes of EU data protection law, I, Lannie Simino dba ReVintageLannie am the data controller of your personal information. If you have any questions or concerns, you may contact me Through Etsy Conversations 1st and foremost for all inquires. I Presently Do Not Resize Vintage Jewelry. Your Local Jewler Could Assist You With This !! I Only Sell Vintage Jewelry. I Do Not Make Jewelry at This Time. No, I am Sorry, Not at The Present Time.